The initial cost of installing a Toitures MultiMétal Stone Coated Steel Roof may be more than with other roofing materials. However, the money a homeowner can save is significant, because a Toitures MultiMétal roof will be the last roof you ever buy. A Toitures MultiMétal Stone Coated Steel Roof adds to your home’s beauty and to its resale value. 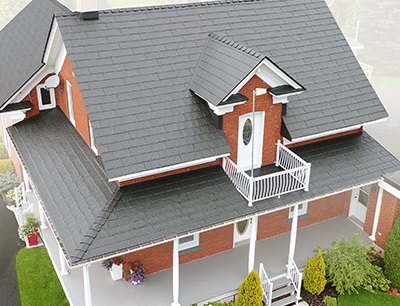 Finally, insurance companies in many states will lower your homeowner’s insurance premiums by as much as 35% due to the proven protection of a Toitures MultiMétal Stone Coated Steel Roof. 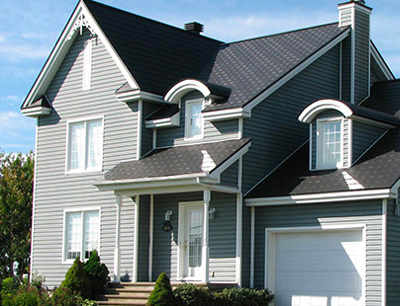 The average life of a non-steel roof is approximately 17 years. 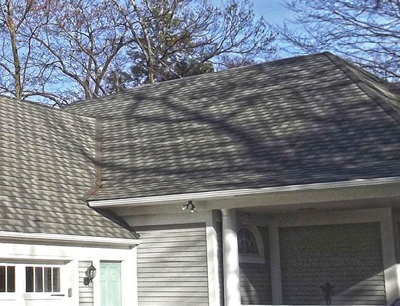 For example, asphalt, or “composition” shingles can require re-roofing every 10 to 20 years or sooner! Compare that with a Toitures MultiMétal Stone Coated Steel Roof that includes a warranty that is good for the lifetime of the owner (transferable). 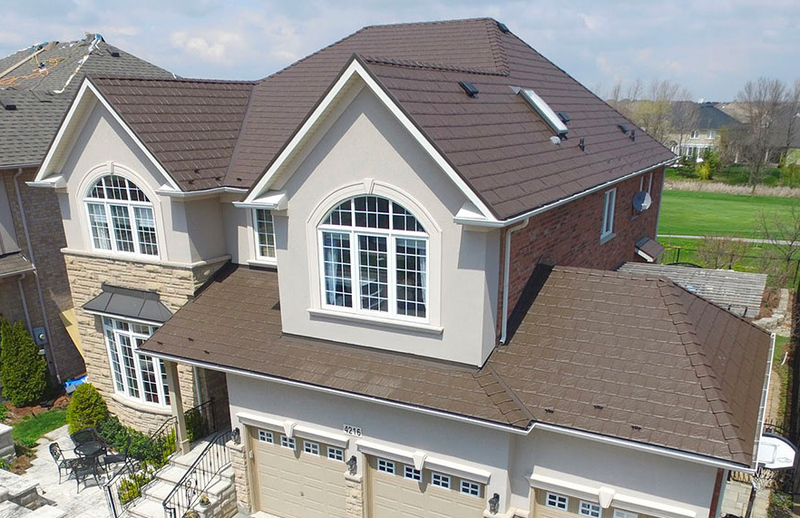 Whatever the style, color or finish of your current roof, there is most likely a Toitures MultiMétal Stone Coated Steel Roof that will match the appearance of your home. 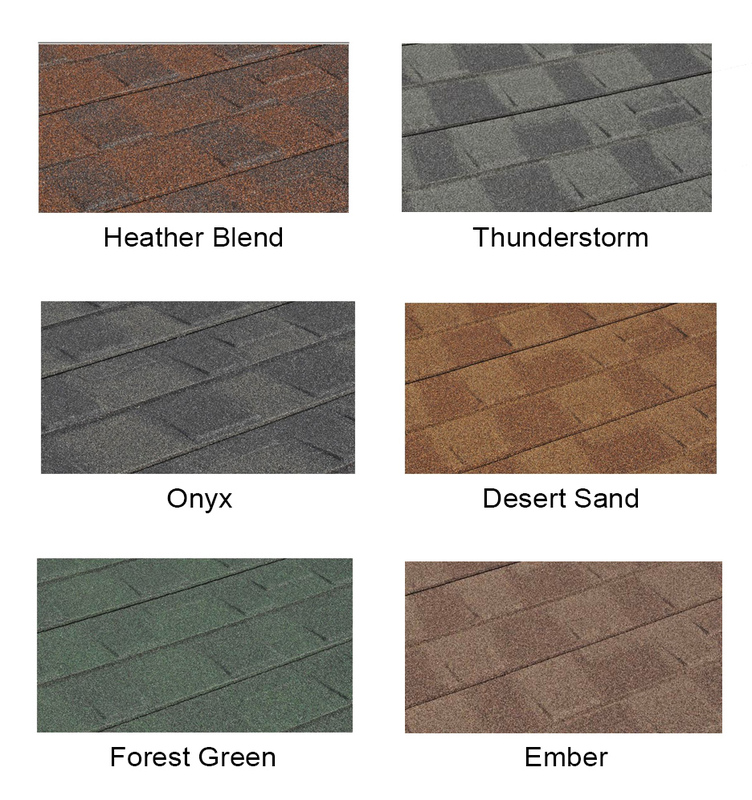 Whether you want the look of an asphalt shingle, clay tile, cedar shake or slate, you can select a Toitures MultiMétal Stone Coated Steel Roof that will enhance the beauty of your home. Life is hard. 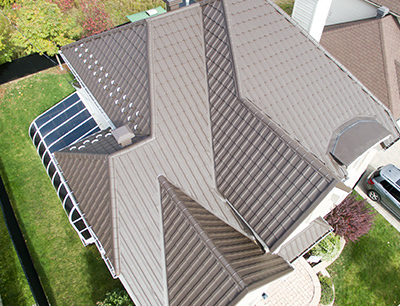 Mother Nature is harder, especially on non-steel roofing materials which begin to deteriorate immediately after they are installed from exposure to damaging ultraviolet rays of the sun, expansion and contraction as a result of temperature changes and the effect of hailstones, heavy snow pack, ice and wind. A Toitures MultiMétal Stone Coated Steel Roof, however, can take extreme weather conditions and still look and protect like new for a lifetime. There’s more to the beautiful colors and designs of a Toitures MultiMétal Stone Coated Steel Roof than meets the eye. For example, the lighter-colored roofs are designed to effectively reflect the sun’s heat and reduce the need to cool your home during the hot summer months. Our “dead air” buffer zone between your new Toitures MultiMétal roof and old roof also insulates against heat loss in winter months. What a beautiful way to lower your energy bills. 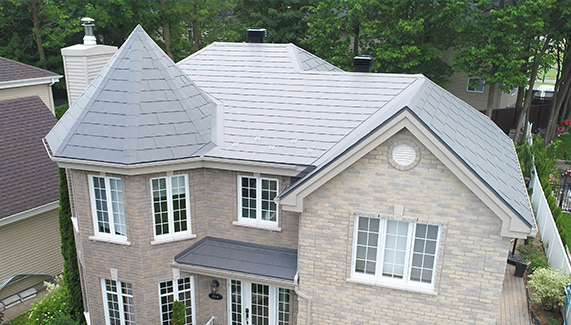 If you’ve heard anyone say that a metal roof shouldn’t be walked on, they’re obviously not talking about a Toitures MultiMétal Stone Coated Steel Roof. Our unique interlocking panel design, rugged 26-gauge galvanized steel construction and proven installation methods provide a strong roof system that can be walked on under normal conditions. You don’t need to take anyone’s word for how long a Toitures MultiMétal Stone Coated Steel Roof will last. 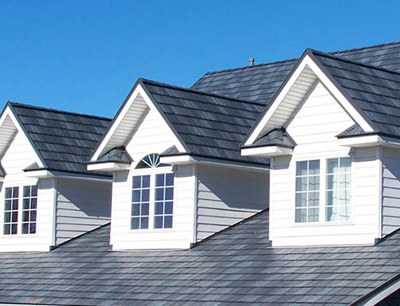 Our roofs come with impressive warranties including a 120 m.p.h. Wind Warranty, a 2.5 inch Hailstone Warranty and a Non-Prorated Warranty for the Lifetime of its Owner (transferable). Also be sure to talk to your Toitures MultiMétal-approved roofing installer about their workmanship warranty.